Ge-lens according to custom design. Supply kinds of Plano convex Si-lens, Bi-convex Si-lens, Plano concave Si-lens, Bi-concave Si-lens according to custom design. 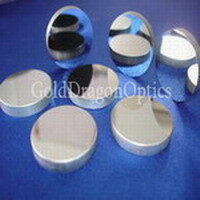 Supply kinds of Plano convex ZnSe-lens, Bi-convex ZnSe-lens, Plano concave ZnSe-lens, Bi-concave ZnSe-lens according to custom design.